Whose Spirit is the Holy Spirit? Home > 2002 > Authors > Bible Study > Character of God > December 02 > Holy Spirit Q&A > Lynnford Beachy > Nature of Christ > Nature of Christ > Newsletters > Questions and Answers > Son of God > Son of God Q&A > The Holy Spirit > Truth About God > Truth About God Q&A > Whose Spirit is the Holy Spirit? 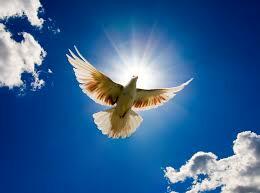 Question: Whose Spirit is the Holy Spirit?